The programme chosen for this recording is completely taken from printed edition and manuscripts kept in Music Archives of Santa Maria di Campagna, Piacenza. 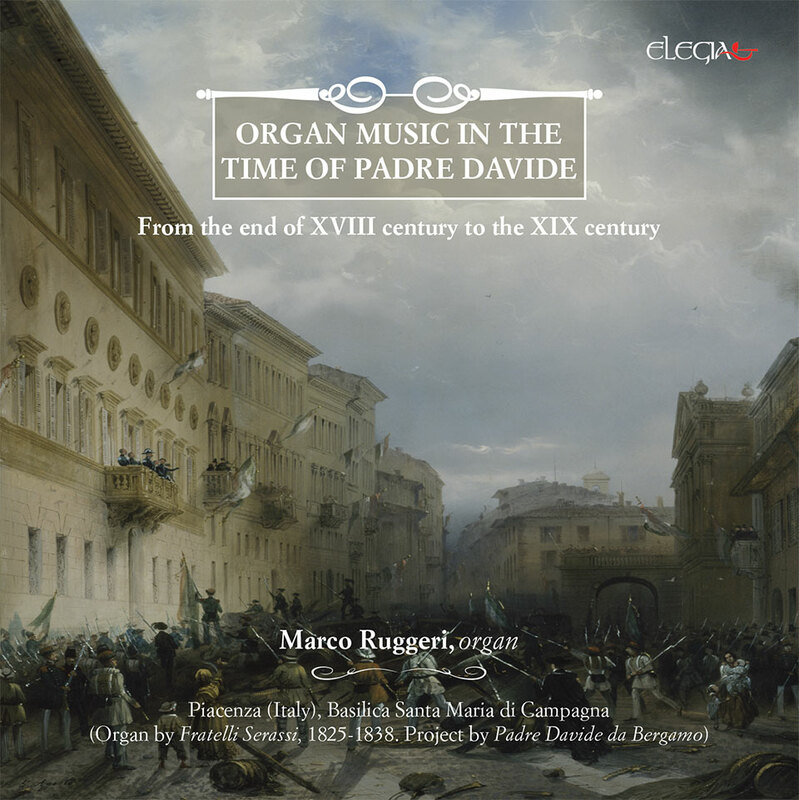 That Fondo was almost totally created by Padre Davide that did his priesthood and, at the same time, was organ player and kappelmeister in Piacenza from 1818 to 1863. So the pieces recorded here were well known to the friar from Bergamo and indeed were a brief but significant part of his music culture and his keyboard repertoire. We do not know exactly what models – manuscripts and printed – were really acquired by the friar for his music library. In fact there was also one of his brother and pupil – friar Leone from Codogno (1809-1894) – who was very active, not in the compositional activity, but most of all in the transcription of music works. Thanks to friar Leone, for example, many works by Padre Davide, that otherwise would be lost, reached us.Many autographs by Padre Davide were taken from the Archives or lost without control. However a great quantity of material contained nowadays in the Fondo was certainly known – if not directly acquired – by Padre Davide himself, in particular the most ancient models dated back to the first nineteenth century.